More information about Shish Tandoori allergy policies is available on our Allergy FAQ page. * Delivery time may vary in busier time. Enjoy the most delicious Indian dishes at Shish Tandoori, made from authentic spices, herbs and other ingredients mixed with the warmth of our hospitality. 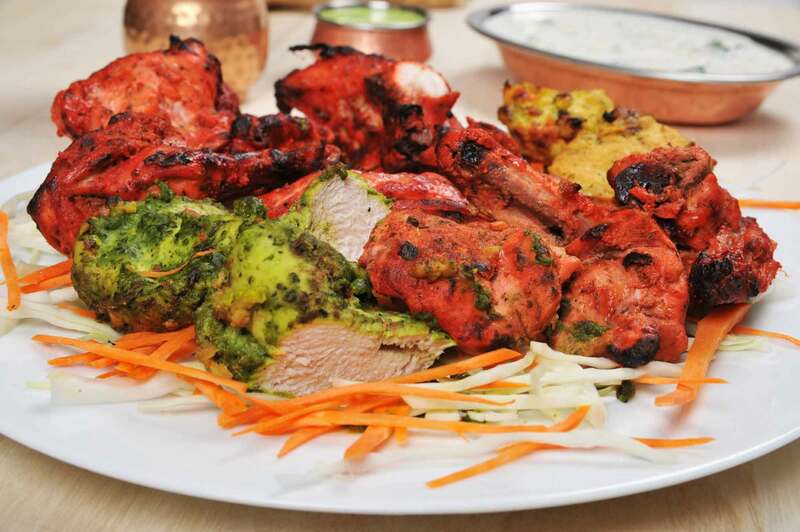 Take a virtual tour of the Shish Tandoori menu to explore the many different flavours that our dynamic Indian cuisine has to offer. We have picked the best of the delicacies from all-over Indian, from every nook and corner, and have brought to you the best of flavours. There are the old favourites – curries, vindaloos, bhoonas; then there is the authentic tandoori and tikka; there are also the fluffiest of biryanis, the mellowest of kormas and the softest of Indian bread assortments. But that is not all. We have new and exciting, out-of-the-box recipes on the Shish Tandoori menu as well, where we bring a twist of taste by our creativity and the love for Indian food and flavours..
Come and explore the best of Indian cuisine that Aberdeen has to offer, with a glass of red wine by the side.